2011 benefit CD released to aid those affected by the devastating earthquake and tsunami in Japan. In what stands as a major global music relief effort, over 30 of the biggest names in contemporary music have joined together for the worldwide release of Songs For Japan, an unprecedented compilation of 38 chart-topping hits and classic tracks. 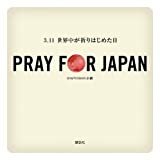 Proceeds from the album's sale will benefit the disaster relief efforts of the Japanese Red Cross Society. Features tracks from John Lennon, Lady Gaga, U2, Katy Perry, Red Hot Chili Peppers, Bob Dylan, Beyonce, Rihanna and many others.